1. NEW – The 10th Legislative District Executive Board meets at the Stanwood Office on Saturday, Aug 20 at 10:00am. The new office phone number is 360-572-2163. 2. NEW – Mark your calendar! Our Patriot Day Picnic is now scheduled for Sunday, Sep 11 from Noon to 4:00pm at Pioneer Park, 1200 South Third Street, in La Conner. Pioneer Park was established in the early 1930’s when a generous donation of land was deeded to the Town by Louisa A. Conner. Pioneer Park is located at the south end of Town on a wooded hill overlooking the Swinomish Channel. The park is located on the east side of the Rainbow Bridge. The park has cooking facilities and a covered eating area with tables, benches and restroom facilities. The park also features a bandstand located in a natural amphitheater. The park is easily accessible from the town of La Conner and from the Rainbow Bridge. 3. NEW – Skagit Democrats West is open. It is located at 2510 M Ave Anacortes across from the Family Physicians office. The driveway is on 25th street. We have Hillary signs ($10 each or 2 for $15) and Yes on I-735 ($10 each). Other signs are free and may be picked up at any time. My car needs to be there. Note: I am not a morning person. 4. NEW – Attention PCOs – The Skagit County Democrats Reorganization meeting will be held at 10:00 am on Saturday, Dec 10 at the Skagit County Democratic Party headquarters at 300A South First Street in Mount Vernon. 5. NEW – Fidalgo Democrats have a Facebook page – https://www.facebook.com/FidalgoDemocrats/. 6. To see the recent Primary Election results Click Here. For statewide results Click Here. Our day at the fair will be Friday, Aug 26. We will need to cover the booth from 10:00am until 10:00pm. We will need volunteers to cover 4 hour shifts: 10:00am – 2:00pm, 2:00pm – 6:00pm, 6:00pm – 10:00pm. Please let Tom Lee know if you can cover one our more of these shifts – teelee53@comcast.net. Parade starts at 11am on August 20. Schedule & Map Brochure. 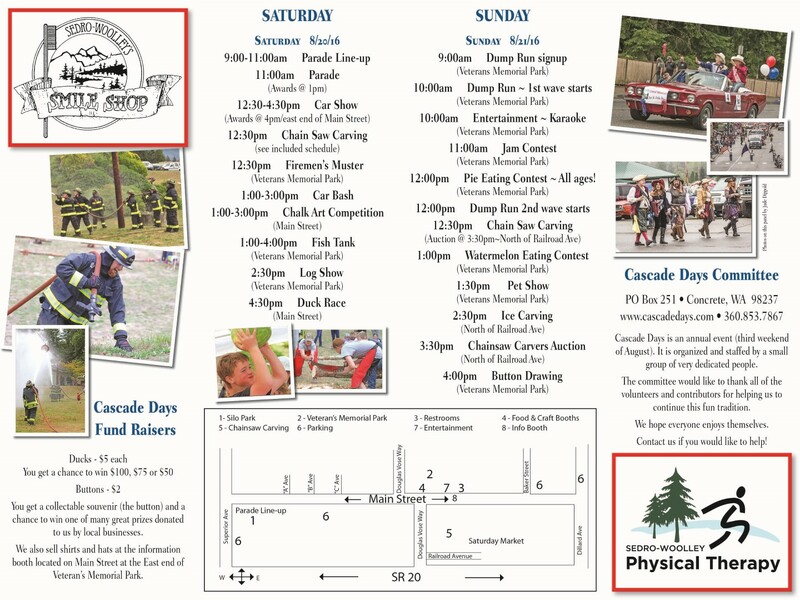 More information is available at 360-853-7867 or information@cascadedays.com. Interview by Ken Winkes: Jim brings us good information about what the government has done for the people. For more information, go to http://www.populist.com/. Dave McConnell (drmcc35@gmail.com) hosts a show noting that we share our community with gay, lesbian, bi-sexual and transgender folk. Young people from that minority segment of our culture share their stories.